Visit some of the less-explored areas of Australia on this fascinating 16 day tour taking in the beautiful Top End region as well as Western Australia. 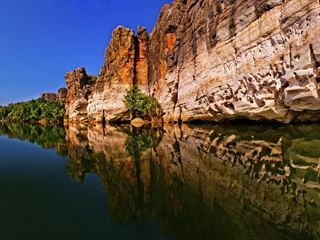 Explore the wetlands of Kakadu National Park, cruise through the scenic Katherine Gorge and marvel at the Bungle Bungles – this is a tour full of impressive natural beauty. You’ll also get the chance to see some ancient aboriginal rock art and learn about the traditions and customs of local people in the area. Today you’ll arrive in Darwin where you’ll have the even at leisure. 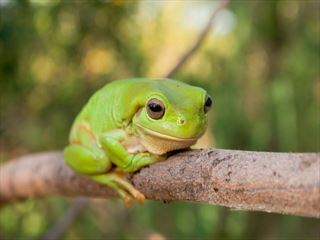 Today you’ll leave Darwin and head across the wetland landscape of the Marrakai Plains where you’ll reach Kakadu National Park. You’ll then visit Ubirr where you’ll get to see some interesting ancient Aboriginal art and then take a cruise on the East Alligator River. Head across the East Alligator in the Arnhem Land. Here you’ll learn about the art and history of the region, which many travelers often miss. You’ll then return to the scenic Hawk Dreaming where you’ll spend the night. 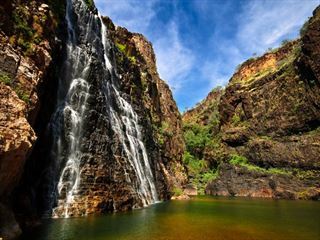 Today you’ll travel to Kakadu in the Northern Territory – one of Australia’s finest national parks. 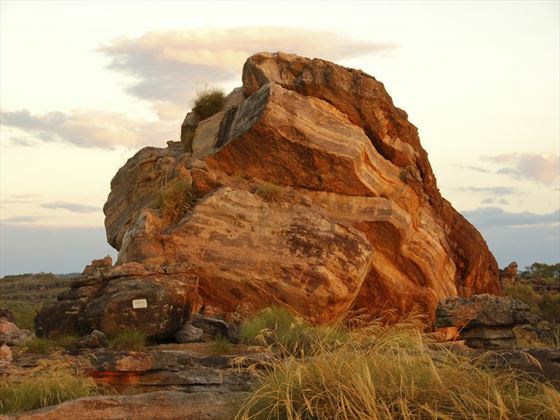 You’ll visit Nourlangie Rock to see some aboriginal rock art and then head onwards to Cicada Lodge where you’ll enjoy a fantastic three-course meal. 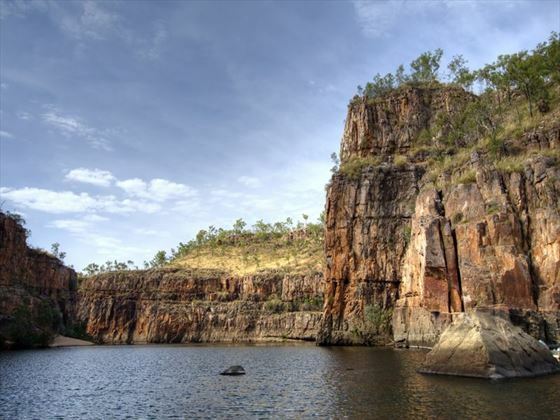 Today you’ll head onwards to Nitmiluk National Park where you’ll take a cruise through Katherine Gorge. Learn about the customs and traditions of the local Jawoyn people. You’ll travel onwards into Western Australia. 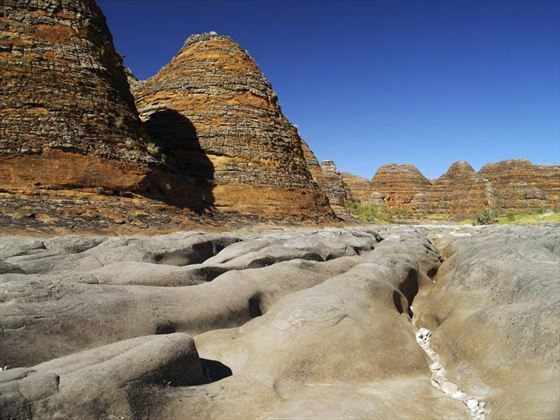 On day six you’ll travel onwards to Purnululu National Park which features the Bungle Bungle Range. You’ll then spend the afternoon hiking to Echidna Chasm, a very thin gorge that you can walk through. Today you’ll enjoy a scenic hike to Piccaninny Creek and down through the beautiful Cathedral Gorge. From here you can choose to take an optional helicopter flight for some truly unparalleled views. Later, enjoy a remarkable sunset over the Bungle Bungle Range. 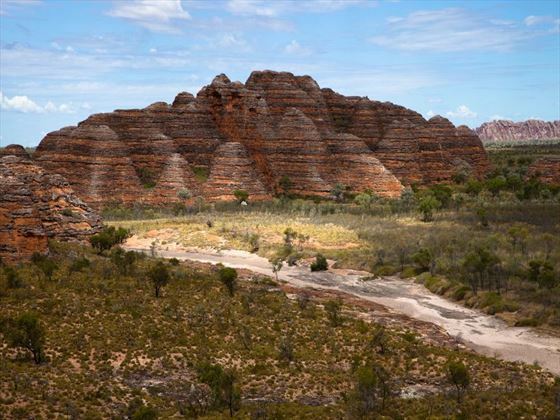 On day eight you’ll visit the El Questro Wilderness Park, which is a million acre cattle station in Kimberley. You’ll stay here for two nights with a choice of activities including guided bird watching, a Chamberlain River cruise and horse trekking. On day 10 you’ll leave El Questro behind and travel along the Gibb River Road where you’ll arrive at your accommodation, the Mitchell Falls Wilderness Lodge. The rest of the day you can spend relaxing and resting up. On day 11 you’ll hike around the area of the Mitchell Falls and then you’ll take a spectacular helicopter flight over the falls themselves. 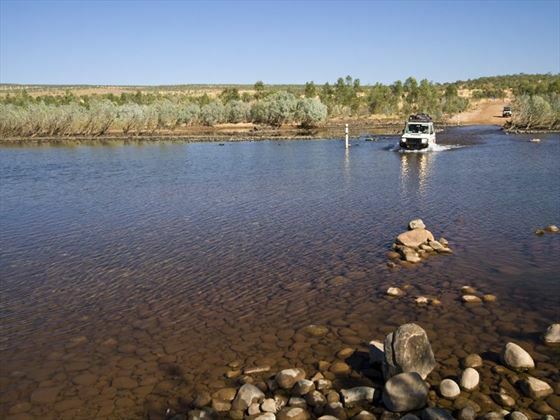 Today you’ll visit the King Edward River to view the unusual Wandjina and Bradshaw Art. Start day 13 with a trip to the pretty Barnett River Gorge where you’ll have the chance to see some rock art and take a swim. You’ll then have lunch before traveling to Galvans Gorge. On the next day you’ll visit Bell Gorge to enjoy a tasty lunch. You’ll then have a range of activities to choose from including hiking or birdwatching. 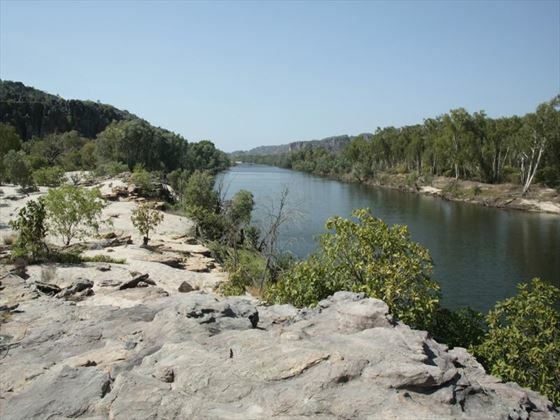 Today you’ll visit the picturesque Windjana Gorge. You’ll then pass through Tunnel Creek to see a beautiful oasis. 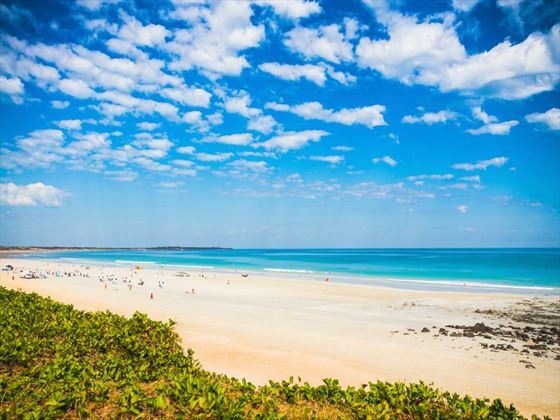 Afterwards head to Broome where you’ll stay at the Cable Beach Club Resort. Here you can enjoy a relaxed evening and a farewell dinner with your group at the resort’s restaurant. After breakfast, transfer to the airport for your onward flight. Wander through stretches of beach, soaring cliffs and mountain ranges and picturesque rivers on this fabulous 10 night escorted tour through Kimberley. Keep a look out for ancient rock murals, diamond mines, and incredible gorges on the way, starting from charming Darwin and ending in the beach resort town of Broome.